MELT the butter in a small saucepan. COMBINE flour, melted butter, pinch of cinnamon, dry yeast, milk, egg and a pinch of salt in a large bowl. KNEAD shortly until a ball forms and cover with a warm and clean kitchen towel. Let the dough rest in a warm spot for 45 minutes. Meanwhile create the filling. Slowly caramelize half of the sugar in the medium-sized pan. Keep an eye on the sugar, before you know it it turns out too dark and that means it will become bitter. When it’s becoming a bit like caramel, add in the rest of the sugar and let it caramelize some more. ADD cream and treacle to the same saucepan as you melted the butter in before and slowly heat it. 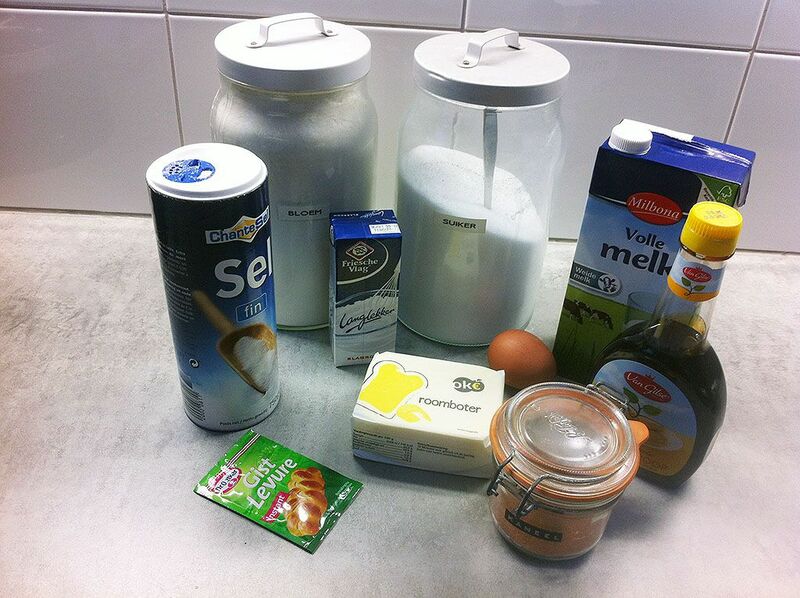 When the sugar is now a smooth caramel, turn off the heat and very careful add the warm cream and whisk until smooth. Caramel is very hot, so be careful! CUT the butter in cubes and add them little by little to the caramel, the butter will make the caramel shiny and beautiful. Also add a small pinch of ground cinnamon. HEAT the waffle iron to medium high. BRUSH a little bit of butter onto the iron and roll medium-sized dough balls, about 2 cm (0,8 inch). PLACE the dough ball in the middle of the iron and close it. PRESS on the iron so you’ll end up with thin waffles. 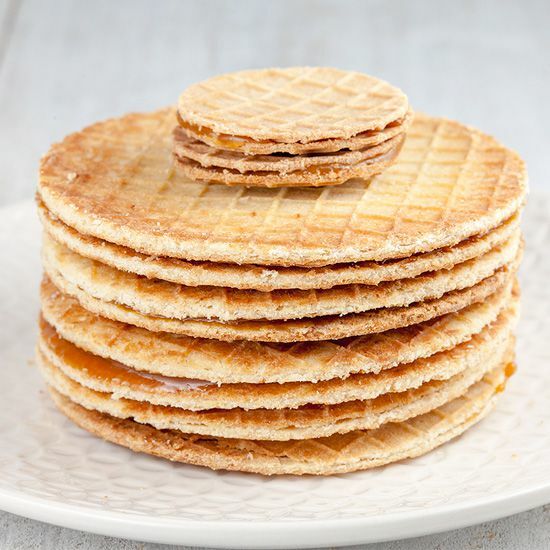 REMOVE the cookie, or actually it’s a waffle, from the iron and immediately use the cookie cutter to create a round cookie. If the cookies are thick enough, you can slice them in half. But you have to do that immediately, while they’re still hot. If your waffles are too thin to easily cut them, then just use two waffles. REPEAT baking the waffles until all the dough has been used. 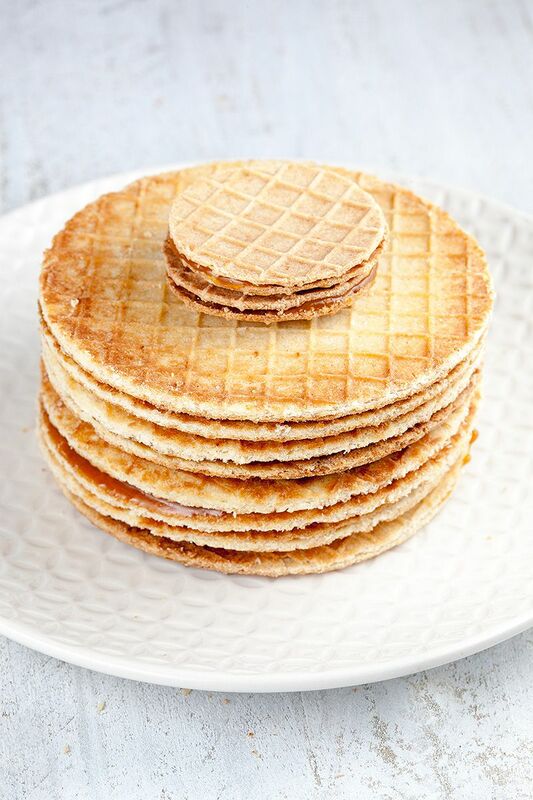 If you got some leftover dough, you can create some little stroopwafels like we did, aren’t they super cute? 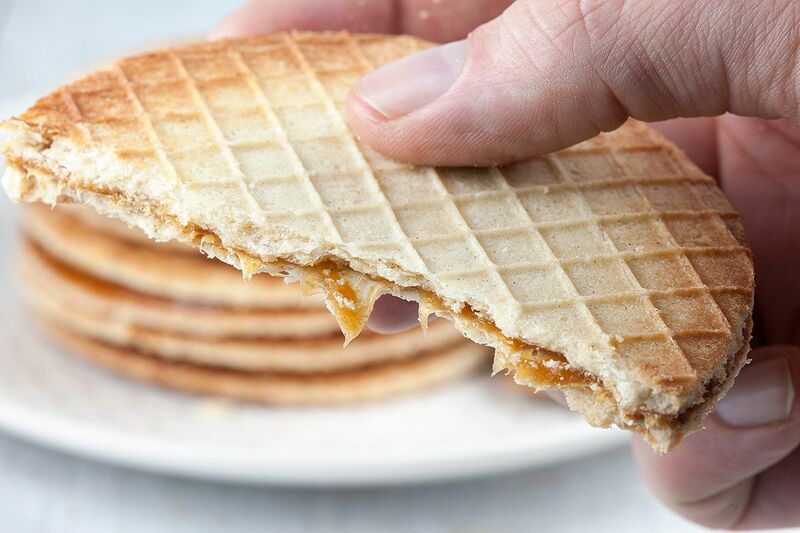 Then divide some of the caramel filling on one side of a waffle and then press another cookie on top. 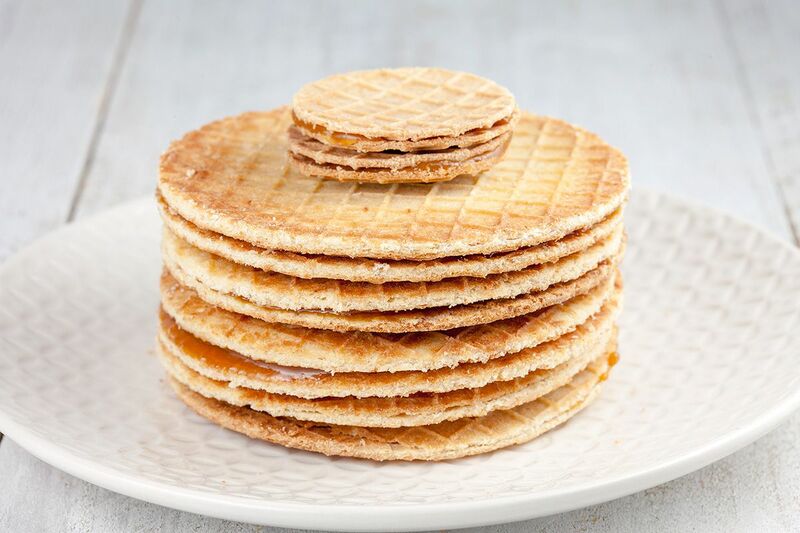 Stroopwafels are the best when they’re still warm, enjoy! Oehh deze ga ik een keer maken! Wat een feestje! Translation: Oehh I will make these one day! What a party! Thank you very much Deborah! They were exactly like those you can get on the market, so we were very happy with the result! I’m unlikely to ever make this at home (no waffle maker) but there’s a similar type of packaged sheets we buy in Canada that my mom used to fill with a milk/sugar/ground walnut cooked mixture. It was delicious. Aww, but waffle makers are cheap so maybe one day you’ll get one :) Milk/sugar and walnut sounds great too!